Dearly Beloveds, I mentioned there would another update by a different telepath and so it is today, It is time for one thru Candace. We are of course not pleased about the war, but we have allowed as that a final small testing and the people are not doing well with it, as a group, in countries supporting Israel. Israel has gone all out smug you might say, thinking they are untouchable.Your recent news of various important ones being fired for all sorts of social ills are experiencing the wrath of the State of Israel. Your country remains fully under their dominion. There have been many fired who didn't desire to support Israel. I remind some of you that many in Gaza are incarnating Khazars experiencing dying by the sword and not to become too upset. That whole issue there is totally an Israeli false flag. It it time for all readers of AbundantHope to seriously join the Global Meditation tomorrow and focus on your Mother who needs all your support at this time. We are continuing to darken the sun and before long, it should not look bright to anybody glancing at it. I have ground crew providing updates as to how it appears. It is necessary to the Mother's energies at this time to dim the sun gradually rather than suddenly, as we had planned. We made the decision to if possible get thru the US of A election and thus we went to the gradual darkening, as a means of mostly notifying certain ones we indeed had the power to do that. This continues. Yuu need not know the mechanisms of why the Mother should at this time experience the gradual darkening instead of the sudden "bulls eye" as it became known. I will continue to not provide detail the dark should not have to any of my telepaths so as to not endanger them or those they love. You are going to have to maintain your patience and your spiritual readiness because, as it has been said, even the day is known by nobody but the Father and we ARE under that. The date I put out in August was for notification of our dark brethren, and you are to hold no telepaths accountable for OUR decisions. This is done for a reason, as this is "war" and we must not give all to the enemy. We give what the enemy needs to hear as appropriate. The necessary cosmic laws as to notification have been handled. More and more people now on earth are being notified by various angels, higher selves, custodians and the like of the impending changes. Candace can give you an link to a very interesting thread she became engaged in yesterday on GLP in fact. There are several who work forums such as GLP getting messages with the hopes they will have the courage to post them and take the heat. 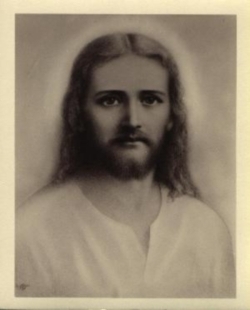 I am leaving now to get back to the preparations and other details, and you ones must be about the Father's Work. Namaste, MIchael of Nebadon. Candace: the thread on GLP. One there had a lovely vision with AA Uriel and some didn't like it at all. It continues today. I put in my two cents worth and there is a list in it of all of Hazel's work with AA Uriel, as the name is less commonly known on this world and people were curious, including the OP of the thread, as he was not familiar with AA Uriel either. Some attacked the thread of course calling Uriel a Demon and all that rot out there that exists. Please do not be upset by my later posts in it, as since working nice is not effective, I decided to work with more intention. It is an act of love. But I loaded it up with slang and other techniques, these ones have little more time to "see." As to the nature of the thread, you are seeing fully in it early 4d manifesting in which ones have to get off the fence and serve one side of the other, so read it from that perspective. It is obvious who remains on the side that is not of God there. And also those still upon the fence (ones I have pleaded too), and ones who recognize the piece as being a true message. I was going to post just OP's posts I collected yesterday, but then many would not look at the thread. He posted his vision in parts, sometimes in response to questions asked. Also OP's user ID changed over my night, from 27875016 to 27904634 OP is from Spain. This piece is under copyright protection of http://www.abundanthope.net/pages/ It may be placed anywhere on the web as long as it is not changed in anyway and a link placed back to this site. It is preferred you place the entire piece, and if not possible to do so, you must note that the rest of it can be found at the link. Thankyou, Candace.